PlayStation Vita is the powerful portable console from Sony, which seeks its place in the competitive world of games. After a slow start, the unit has received beautiful new games, and strengthening its catalog of options. Check out the list of the best games of 2014/2015 for the Vita. Success on the islands table and PCs, the FPS Borderlands received a beautiful version for the Vita. The game mixing RPG elements and an open world to create a unique and fun experience. Analog and portable touch screen allow precise and comfortable gameplay. 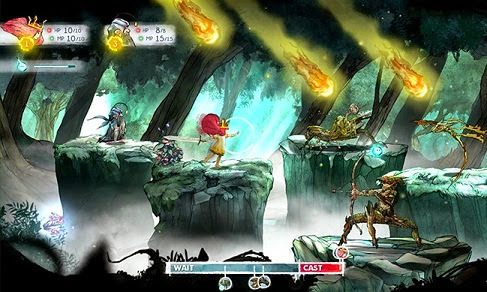 Acclaimed indie game released for multiple platforms, it also reached the Vita as an option for fans of platform games. With intelligent and creative mechanical and visual charming, the game seems ideal for laptop. The mixture of a platform galley style metroidvania (Castleroid) with ships battles may seem rather curious, but it works very well in Velocity 2x. The game offered for free for Plus subscribers is challenging in some extent, and tremendously addictive. Considered a visual masterpiece, Child of Light was one of the surprises of the year. Luck of the owners of Vita, who received a gorgeous version of the game, full of RPG elements and memorable story. The fun game of simple and charismatic visual returned with an improved version, and could not combine more with the Vita. The crazy pace and tremendously creative phases are the main assets of the title, which also appeared among the free of Plus. The phenomenon Minecraft reached the Vita, and needless to say much to imagine that the laptop got a weight of reinforcement for your games list. The game is an exercise in creativity for gamers of all ages, and deserves a chance those who have not yet experienced. Don’t be fooled by the silly game appearance OlliOlli. This is one of the most fun and challenging indies of recent times. In the game, you must meet a list of made controlling a skater as big scores, combos and collect items around the map. Worth a try. Representative of the roguelike genre, indie puts players in the shoes of disposable characters who disappear each death, and are replaced by new versions. Each with their strengths and weaknesses, including hilarious varieties such as color blind knights, dwarves, with fear of heights and other possibilities.